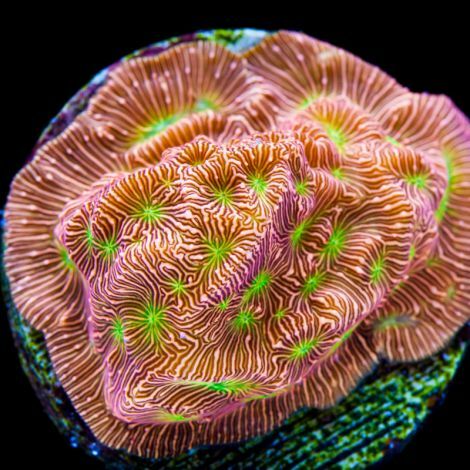 Leptoseris are commonly known as a wrinkle coral but almost no one in the hobby refers to this coral by its common name. Leptoseris were made popular a few years ago when bright orange color morphs came onto the scene and blew everyone away with their intense fluorescence. 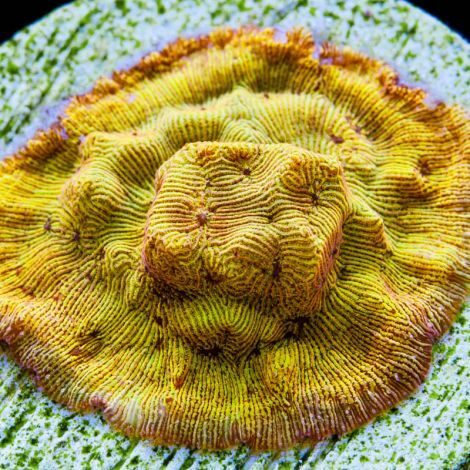 They are one of the most dazzling corals under actinic lighting because in addition to their bright coloration, they almost take on a metallic appearance. 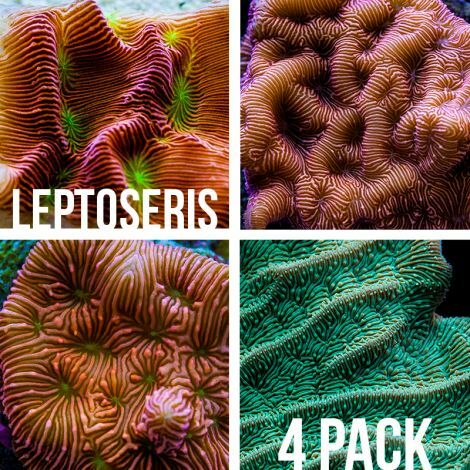 Leptoseris were once one of the most expensive corals in the hobby demanding upwards of $100 per inch. 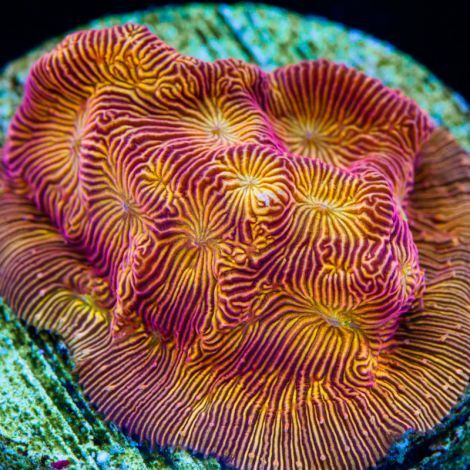 Now that they are more readily propagated, they are available for a more modest price showing again the wonders of aquaculture in the reef keeping hobby. Leptoseris is a fast growing coral and makes a great addition to a variety of tanks ranging from SPS dominated tanks to mixed reefs.